Rob Stone hosted the LA Galaxy’s 5 Star Night Navy Kit Reveal at the Novo at LA Live. Galaxy fans came out in force and were very easily pumped up by Rob Stone’s hype. 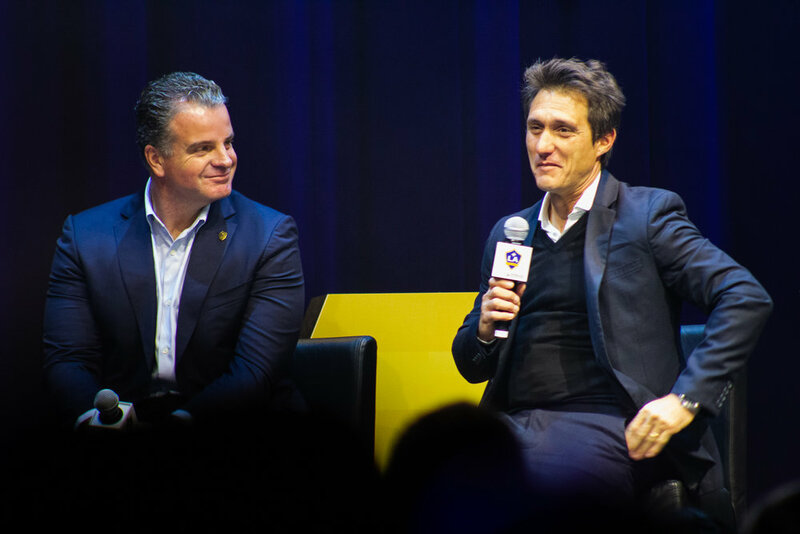 He joked that the Galaxy were a little late coming on stage because Guillermo Barros Schelotto sent them on a run to that other stadium to “take a quick leak” and turn back. The crowd erupted in laughter and cheers. The excitement of the Galaxy faithful shows how eager everyone is for the season to get started. Starting off the night, Dennis Te Kloese and Guillermo Barros Schelotto sat down for a quick Q&A with Stone. 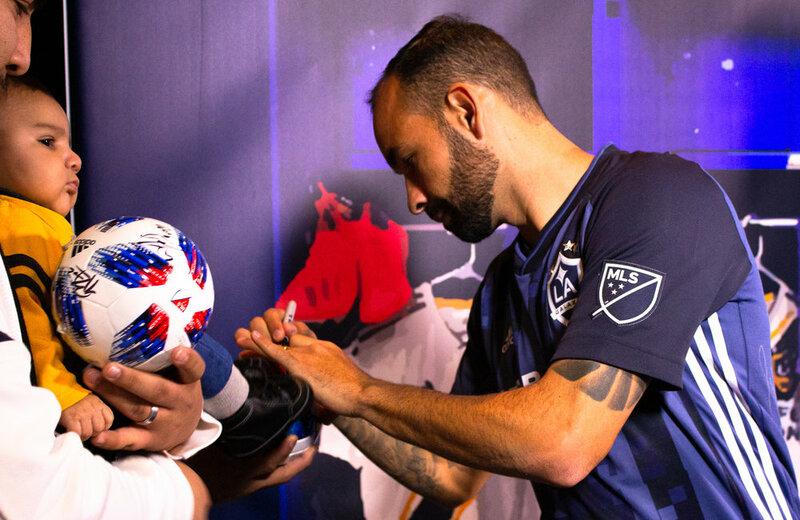 When asked about what kind of expectations the fans should have for the 2019 season, Te Kloese said the fans should have high expectations, especially for a club of the LA Galaxy’s stature. Schelotto reiterated that he is for offense, he wants to fight, the expectations should be high. When asked about style, Schelotto said again that they will try to play an attacking style with some of the big name players they have. 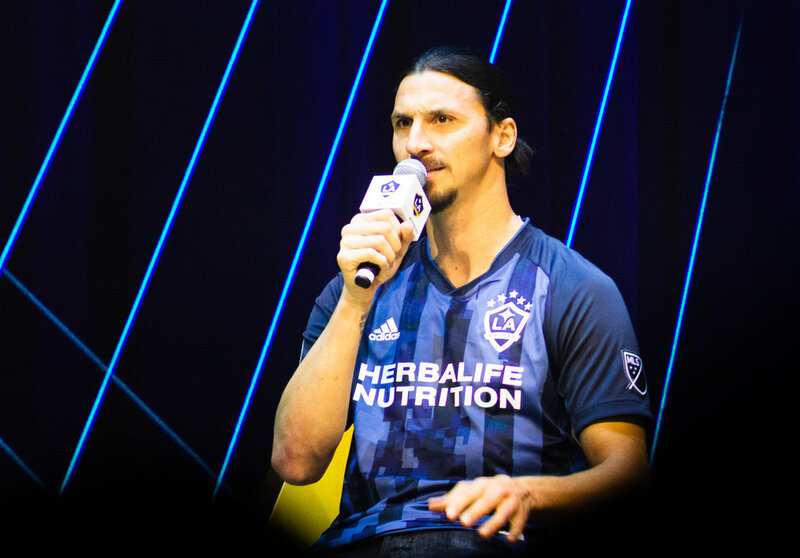 Zlatan made a point to apologize to the fans for the last game of the 2018 season, this season he promises to bring something and he plans to break every MLS record in the process. Te Kloese talked about how he is trying to restructure the culture around the club to create more of a pyramid starting with the youth teams and working from top to bottom. He said the Galaxy has spent a lot of money in their academy and he thinks there is talent to be found in the area. He pledged to the fan base that they will work harder than any team and they want to give the fans everything that the fans have the given the team over the last few years. The players came out game day starting XI style with Michael Araujo announcing player’s numbers and fist names and the crowd chanting back their last names. When Gio Dos Santos was announced, the crowd had a mixed reaction, some boos and groans could be heard. Noticeably absent were Julian Araujo who just signed a 1st team contract and Emil Cuello (unsigned) who had been getting significant minutes in the Galaxy’s preseason matches. The new Night Navy jersey itself was met with mixed reviews from the fans. The blocky, distorted stripe design is a bold choice when you look at some of the more subtle designs on other MLS kits this year. We noticed quite a few fans already wearing their newly purchased jerseys as the night went on. The online reaction ranged from, people saying they can’t wait to purchase theirs to saying that they would just get last year’s home jersey again since they’ve added the 5 stars to the Galaxy crest. The event ended with fans able to interact with players as they mingled around the floor taking photos and autographing items for fans. Chris Pontius, Romain Alessandrini, David Bingham, Juninho, Rolf Feltcher and Sebastian Lletget were all roaming around. 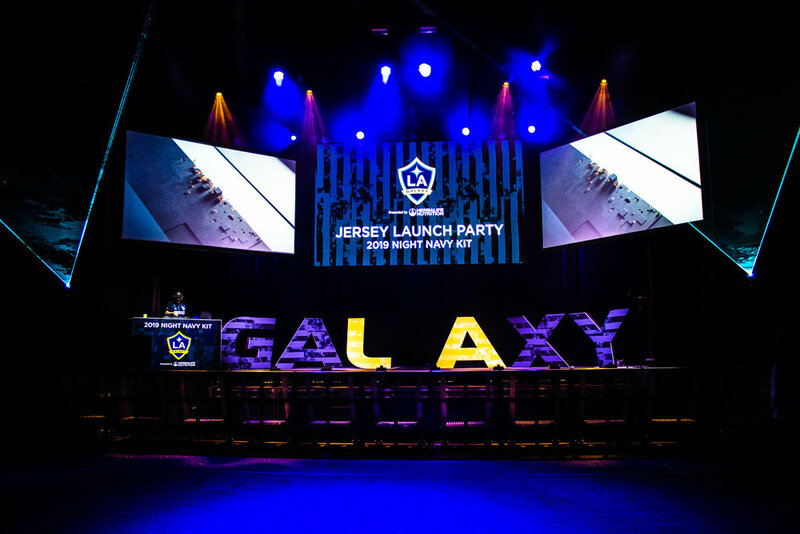 In the end, Galaxy fans went home happy and felt like they had something to look forward to in 2019. Once the venue closed that didn’t stop fans from showing love and support for their club as members of Angel City Brigade danced and chanted as they left. For more thoughts on the new Night Navy jersey and all things LA Galaxy, check out the LAisOurHouse podcast which can be found on Apple Podcasts, Spotify, Google Play and Soundcloud. All our links can be found on the homepage.